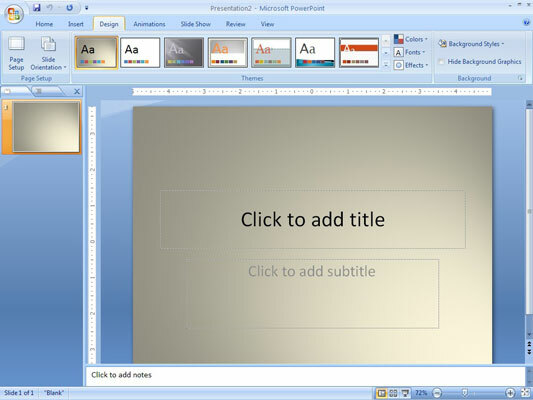 Each Microsoft PowerPoint theme includes a built-in color scheme to apply to your slides. If you don’t like the available choices, you can create custom color schemes in PowerPoint to use in your presentation. 1Open the Design tab by clicking it on the Ribbon. The Design tab kicks into action. 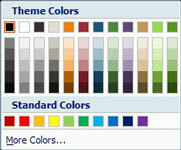 2Select a color scheme to use. Colors in a scheme work as a unit to make your presentation attractive. 3Click the Theme Colors button and then choose Create New Theme Colors. 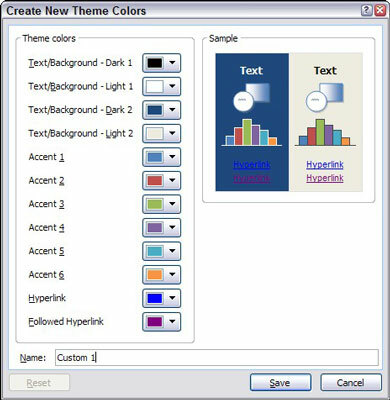 The Create New Theme Colors dialog box appears. 4Click the button for the color you want to change. For example, to change the first accent color, click the Accent 1 button. This summons a gallery of color choices. 5Pick a color you like. What’s your mood today: red, blue, green, something else? 6If you don’t like any of the choices, click the More Colors button. This brings up the Colors dialog box. 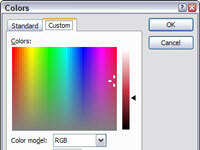 7Click the color that you want and then click OK.
You’re whisked back to the Create New Theme Colors dialog box. 8(Optional) Repeat steps 3 through 6 for any other colors you want to change. You can recolor until your heart’s content. 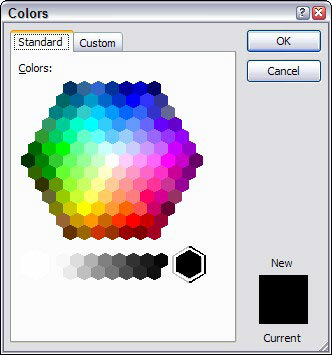 Your custom color scheme is saved. 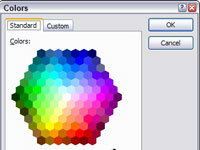 The Standard tab of the Colors dialog box shows 127 colors, plus white, black, and shades of gray. 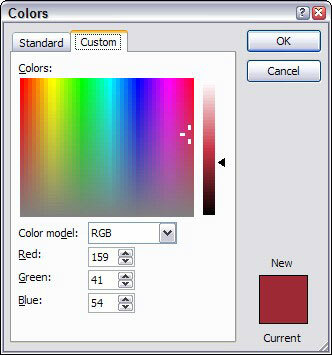 To use a color that doesn’t appear in the dialog box, click the Custom tab to view the custom color controls.